Taken at the University of Michigan Ann Arbor. The corner of the Museum of Art in the foreground (the overhanging concrete bit on the top right) and a red-brick pillar of Tappan Hall in the background with the trees behind that. 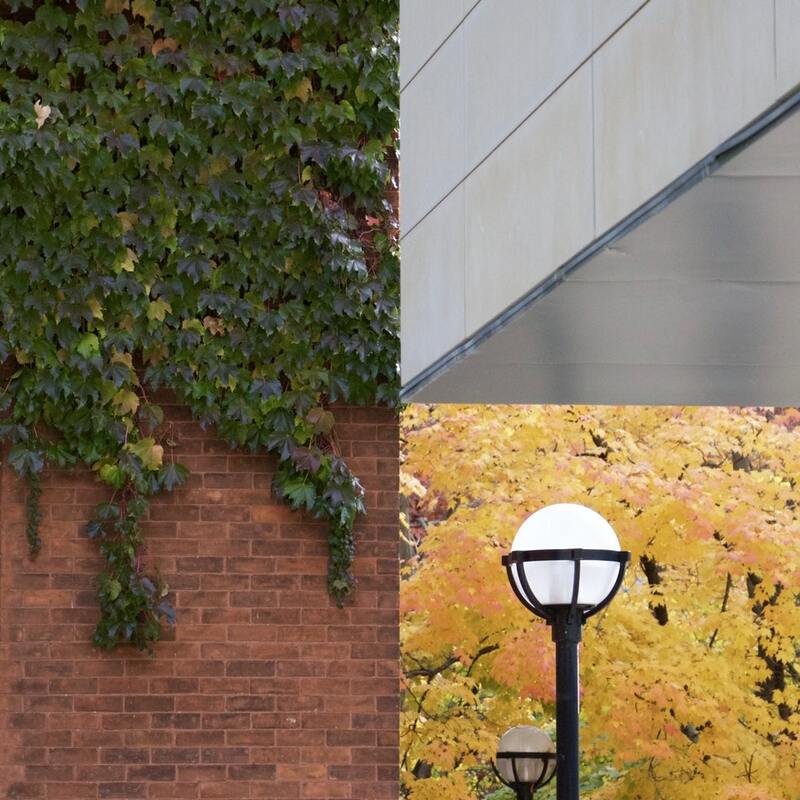 It takes a while because I think your eyes/brain automatically assume the top right hand part is a wall and a sidewalk.